What do you get when you take a classic French patisserie with the flavours of a Middle Eastern desert? 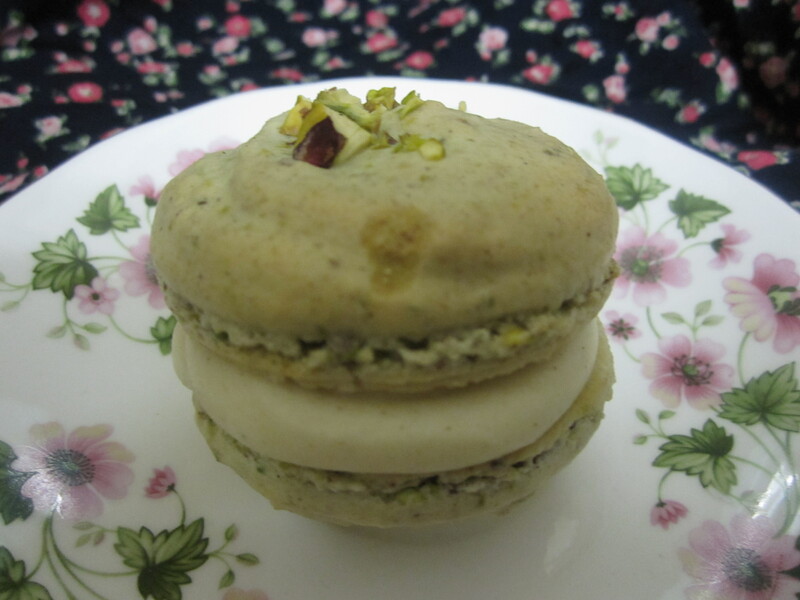 Baklava Macarons with Honey and Cinnamon Buttercream of course! You may think I may have gone a tad mad but I’m telling you combining those flavours in these sweet little morsels are a real winner. 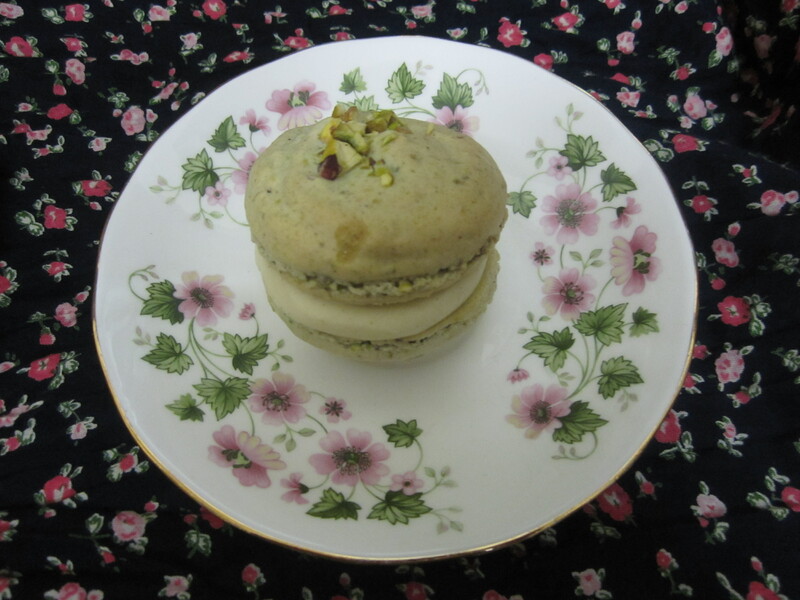 Since making my Pecan Pie Macarons with Maple Syrup Filling, I’ve been wanting to try more combinations of desserts in macaron form and think the pistachio magic with floral honey and warming cinnamon are pretty special. My cupboards are full of very random ingredients that mean I normally can’t make quite a conventional dinner from the contents but ingredients to jazz up some baking – you bet I have it! My parents brought me a bottle of pistachio extract from France this year as a holiday souvenir, which I love that I get ingredients when people travel and coming up with recipes to use them in. 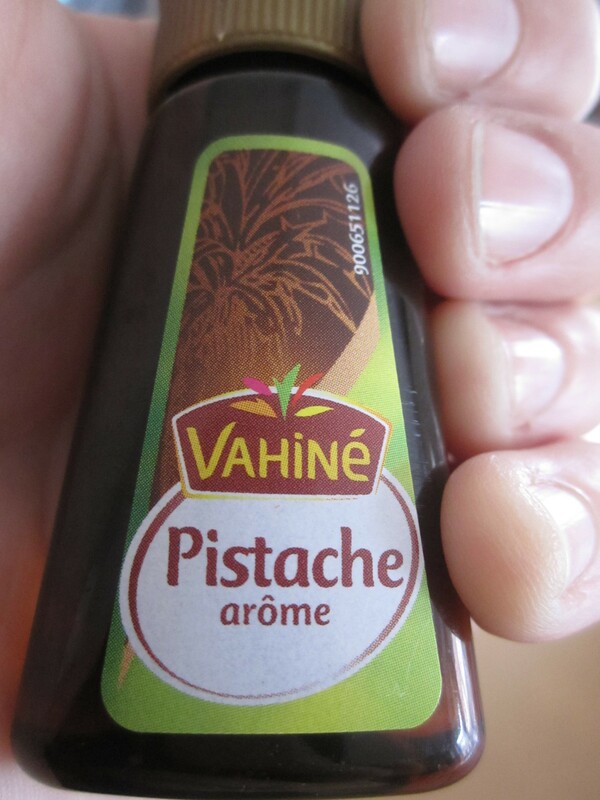 I added a couple of drops of this divine extract to the macaron mixture to pump up the level of nuts going on. Also, a splash of green food colouring to have a nice contrast against the creamy filling but not too much to make them glow in the dark! Use accurate scales to get the precise amounts. In a stand mixer with the whisk attachment, beat the whites until they start to foam, about 1 minute. Add the caster sugar and whisk at medium speed until the whites are thick and glossy to stiff peaks. Whisk in the pistachio extract and food colouring. Fold in the ground nuts and icing sugar to the egg whites. Fold the mixture until the sugar and nuts have been incorporated. Don't overfold but make sure there aren't any streaks in the mixture. Pour the mixture into a piping bag, pipe rounds on a baking tray lined with parchment paper or a macaron mat on a baking tray. No bigger than 2" diameter and gaps in between to spread. 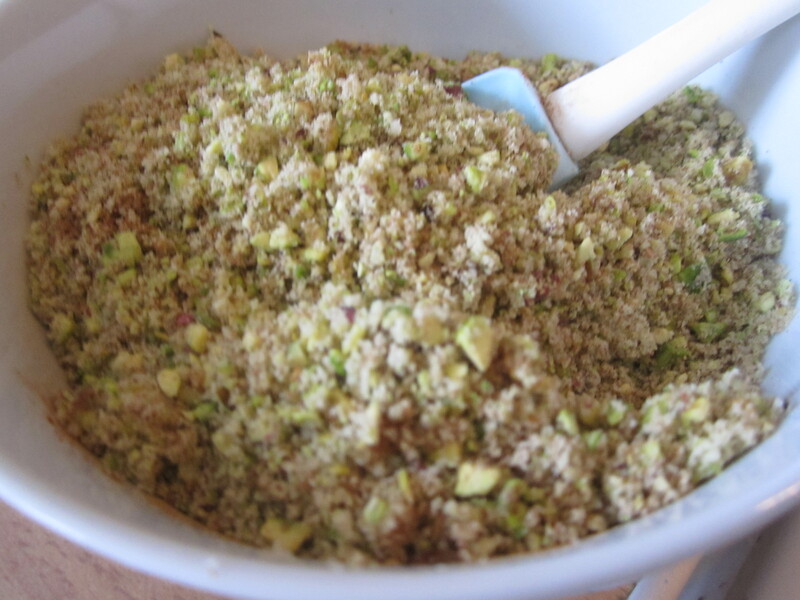 Sprinkle a few of the chopped pistachios over half of the macarons. Gently tap the tray a few times and leave for 30 minutes for the surface to dry. Oven to 175C, bake for 10- 12 mins until the surface has hardened. Allow cooling completely on the tray. Make the filling, in a stand mixer with the whisk attachment, beat the butter until softened. Whisk in the icing sugar gradually, scraping down the sides and beating in the honey and cinnamon. 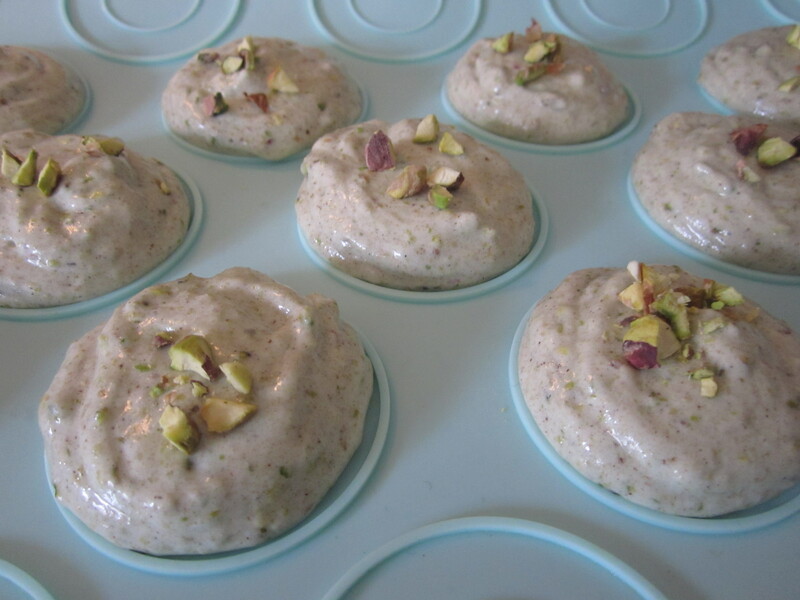 Scoop into a piping bag with a plain round tip, pipe some of the filling on to the flat side of the half macarons without nuts on top and sandwich together with a half the same size with nuts on top. Repeat with the remaining macarons. These sound fantastic! I love baklava and can imagine it would go amazingly in a macaron! Thanks Jess! I just love the flavours of baklava and you can never have enough pistachio flavoured treats!